The FDA is targeting partially hydrogenated oils (PHOs), the major source in processed foods of artificial trans fat, which has been linked to heart disease. These oils have been used for decades to increase the shelf life and flavor stability of foods. The agency is taking steps that, if finalized, could mean the end of industrially produced trans fat in foods. The Food and Drug Administration on Thursday proposed measures that would all but eliminate artificial trans fats, the artery clogging substance that is a major contributor to heart disease in the United States, from the food supply.Under the proposal, which is open for public comment for 60 days, the agency would declare that partially hydrogenated oils, the source of trans fats, were no longer "generally recognized as safe," a legal category that permits the use of salt and caffeine, for example.That means companies would have to prove scientifically that partially hydrogenated oils are safe to eat, a very high hurdle given that scientific literature overwhelmingly shows the contrary. 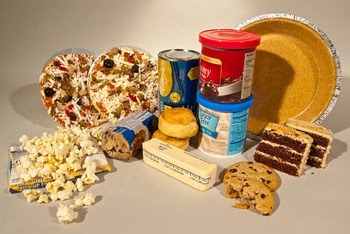 The Institute of Medicine has concluded that there is no safe level for consumption of artificial trans fats. “That will make it a challenge, to be honest,” said Michael R. Taylor, deputy commissioner for foods at the F.D.A. Dr. Margaret A. Hamburg, the agency’s commissioner, said the rules could prevent 20,000 heart attacks and 7,000 deaths from heart disease each year. The move concluded three decades of battles by public health advocates against artificial trans fats, which occur when liquid oil is treated with hydrogen gas and made solid. The long-lasting fats became popular in frying and baking and in household items like margarine, and were cheaper than animal fat, like butter.